The Newport 69 Pop Festival was held on the Devonshire Downs fairgrounds and racetrack in Northridge, California. It was organized by 24-year-old Mark Robinson. The line-up for the three-day event was impressive, headlined by Jimi Hendrix. One could easily argue that the line-up was as good as the famed Woodstock would be in less than two months. I have underlined those who would be there as well. 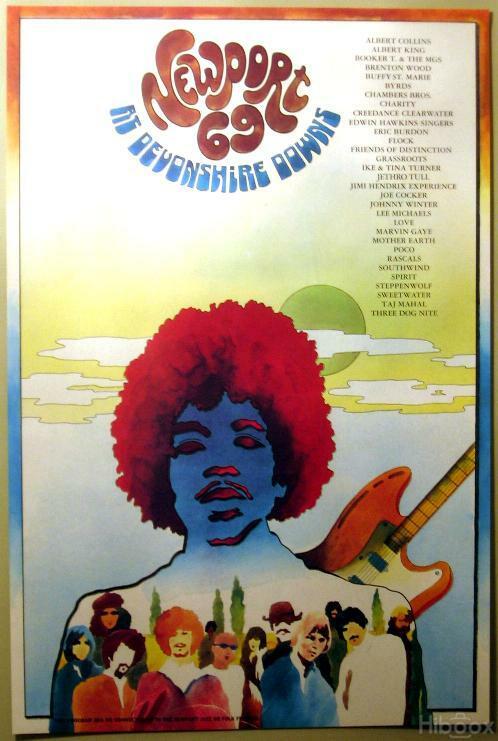 And as I have frequently mentioned, Johnny Winter played at yet another summer 69 festival. 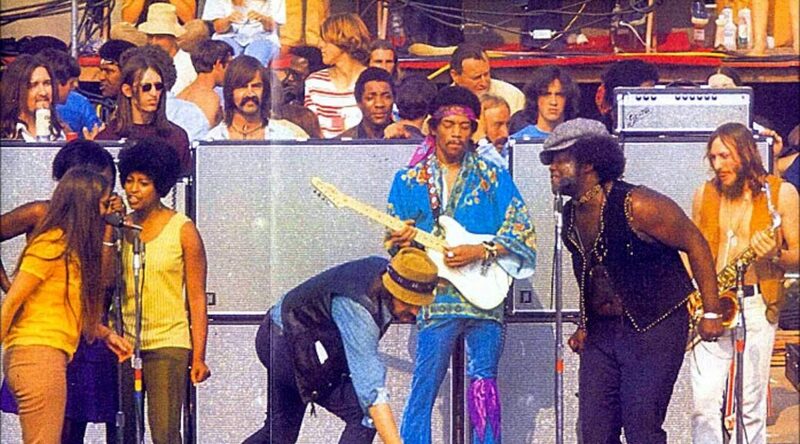 Jimi Hendrix appeared twice because of a disappointing Friday performance. Rolling Stone magazine told a different story a week after the event. The headline read: Crashers, Cops, Producers Spoil Newport 69. Part of it’s review read: Because of this violence, and perhaps as much as $50,000 in damage done to neighborhood homes and businesses, the Los Angeles police commission has launched a full investigation. It could result in new city policies on the granting of concert permits and certainly means there will never be another rock festival held here. The kids threw bottles and rocks and the police randomly slashed out with batons, causing blood to stream freely. (Those injured were as young as 14.) Teenagers swarmed across a nearby shopping center, causing nearly $10,000 in damage to two gas stations, an equal amount of damage to apartment houses, another $1,500 worth of vandalism at a grocery store. While police demonstrated a sure-fire way of halting a kid – approach him at a dead run, grabbing him by the back of the neck, slamming him head first into a parked car; then club him when he’s down. On June 19, Woodstock Ventures had met with Wallkill, NY officials regarding the upcoming festival. The officials laid out their three main concerns: 1. traffic control, 2. sanitation, and 3. water supply. One imagines that security was added after reading about Newport 69.